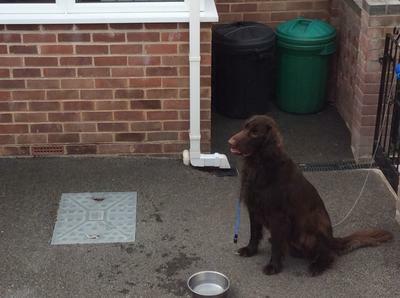 This dog was found yesterday in Hollybank Estate, Hythe wearing a collar but no tag. Took him to Seadown vets in Hythe & they checked no micro chip. He is currently there. Have tried posting a picture to Hythe & Watersdie sights via Facebook & local ACSO has also been informed.